You know! The one downstairs that you keep locked in a huge closet? I DON'T URINATE AND DEFECATE IN YOUR GLASS OF WATER, DO I? 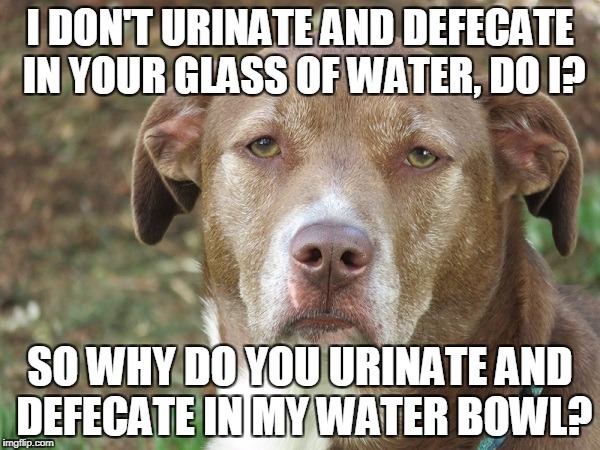 SO WHY DO YOU URINATE AND DEFECATE IN MY WATER BOWL?